Recognize how sacred you are and worship your divinity. There’s so much focus on an external God that we humans have all but conceded that we are mere pawns in this game called Life! While it is important to follow our individual faith and respect the traditions in which we have been raised, it is equally crucial for us not to feel unworthy. Just consider you upbringing. You have been told that God is all powerful. That God hates sinners. And that you must keep doing good to stay blessed. So, all along, the reference point is something external. And when things go wrong, as they often do, you believe that your solutions too has to come from an outside source! As you grow up you do get a whiff of wisdom and realize that it is perhaps possible that the energy that powers the Universe, that keeps you alive, is inside of you. And that energy is possibly the God that everyone refers to and is looking for. Yet years of conditioning cannot possibly be dismissed by few moments of epiphany. Also consider the experiences when you have possibly encountered people who, while appearing to be incapable of divinity (at least as perceived by us), are able to provide phenomenal insights to intelligent living. Your logical, re-doubting mind often wonders if such people have an axe to grind or are charlatans! Fundamentally, while we humans crave that the Gods we worship, in temples and churches and mosques and gurudwaras, open their eyes and grant us our wishes, we have a serious problem believing and trusting when God, finally, speaks, especially in human form! During some specially trying times, a few years ago, my wife and I went to meet a Siddha yogi. We were referred to him by a close friend. When we reached his place, on the outskirts of Chennai, we were quite startled to find him dressed in a lungi and vest, standing outside on the street and smoking a beedi. He politely requested us to go inside and be seated. He took his own time finishing his smoke and later joined us. As soon as he sat down in front of us, he said, “Is your problem your debt?” We were dumbfounded. Startled. Shocked. We had not spoken to him about anything. Nor had we introduced ourselves. And here he was, putting his finger on exactly the same issue that confronted us, our enormous debt and our struggling business! How was that possible, we wondered? But the yogi had no intention to allow us time to marvel at his abilities. He continued quickly, even as I mumbled saying yes, “Sir, your problem is not your debt. Your problem is how you are dealing with your debt. You are hating your debt. So, it bothers you. Instead love your debt. It has come into your Life to teach you something. Learn you lessons. And be sure that when you learn them your debt will go away just the way it came into your Life. All our problems in Life can be solved ONLY when we look within and find our OWN answers.” With that our meeting ended. We found his answer too simplistic. I remember telling my wife as I got into our car that the man is either too naïve or is a charlatan! Now, when I look back I realize how stupid, fickle and uncharitable I had been. Because the yogi had not called us, we went to him. He did not ask for money. He did not prescribe a tantric ritual or a series of prayers. All he said was look within and advised us to learn our lessons while loving the problem that had invited itself over in our Life! Over the years I have found only his approach working for us. Our problems remain where they are. Even so, our ability to deal with them have grown phenomenally because we have learned to love them and continue to learn from them. The yogi has also become a close personal friend who has taught us another important perspective to Life: “Worship the divinity within you. Face Life. All your solutions, to problems that confound you, are within. 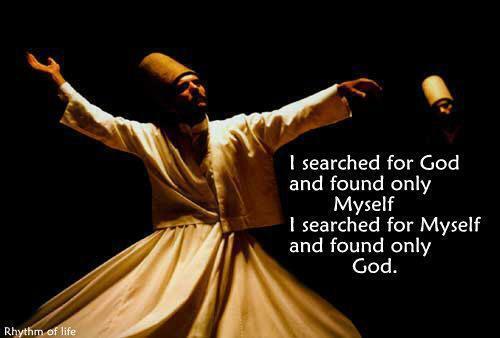 Seek within and you shall find them”! In our case, it was our debt. Your story and your problem situation may be different. But whatever the problem may be, I am sure, this awakening perspective will certainly apply to you too. It really is as simple as it sounds. Life is not complicated. We make it so by failing to recognize our own divinity! Author AVIS ViswanathanPosted on November 28, 2012 March 14, 2016 Categories Divinity, God, http://schemas.google.com/blogger/2008/kind#post, Intelligent Living, Looking Inward, SolutionsLeave a comment on Worship Your Divinity!